Not many more days til' Christmas. I absolutely love how this turned out, much beautiful IRL tho. 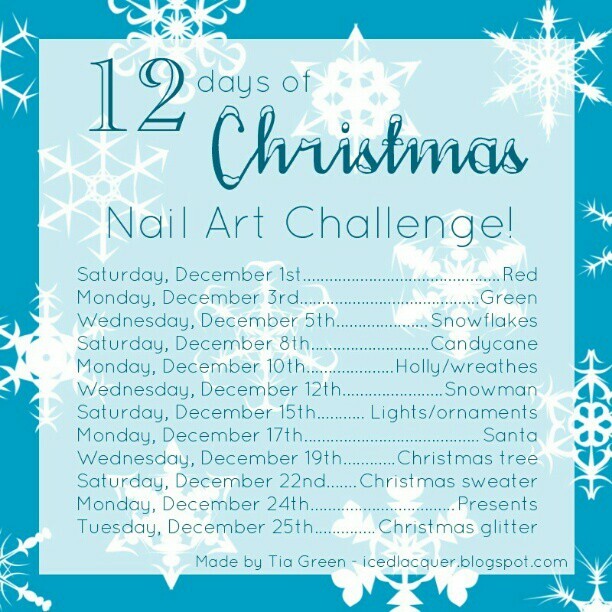 This is also part of the Iced Lacquer Challenge. Super cute! I love the non-traditional background color you chose. I am so in love with these and your snowmen! Well done. Your Santa and Rudolph look very cute.